Wouldn’t it be nice if you could just turn on your Mac and start using it without having to log into it all the time? If you live in a household where you don’t need Fort Knox-like security to keep people from getting into your computer, then you can set up your Mac to log in to your account automatically when you turn it on. Assuming there’s no one in your household that’s actively trying to gain access to your computer all the time, configuring your Mac this way can increase the convenience of using your computer. This configuration works best for people who live alone or don’t live with nosy roommates or family members, as it does reduce the security of your system. It’s not recommended for people who need to keep the files on their computer secure, so keep that in mind. 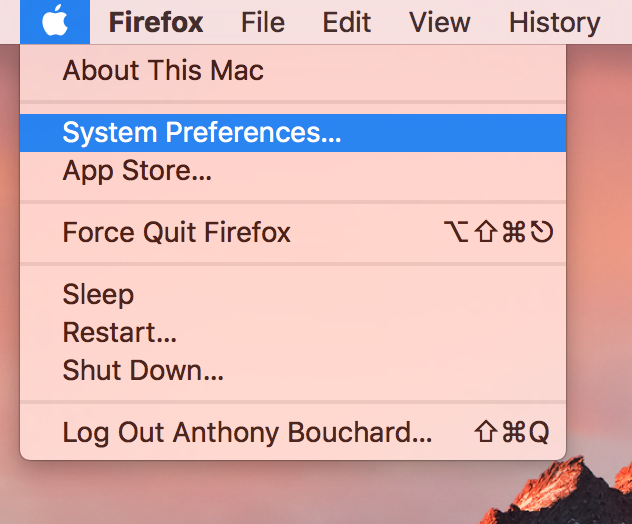 1) Go to  → System Preferences… in the Menu Bar. 2) Open the Users & Groups preferences pane. 3) Click on the Login Options button underneath the list of Mac users. 4) Click on the lock button at the bottom left of the window. 5) Enter your password when prompted, then click on the blue Unlock button. 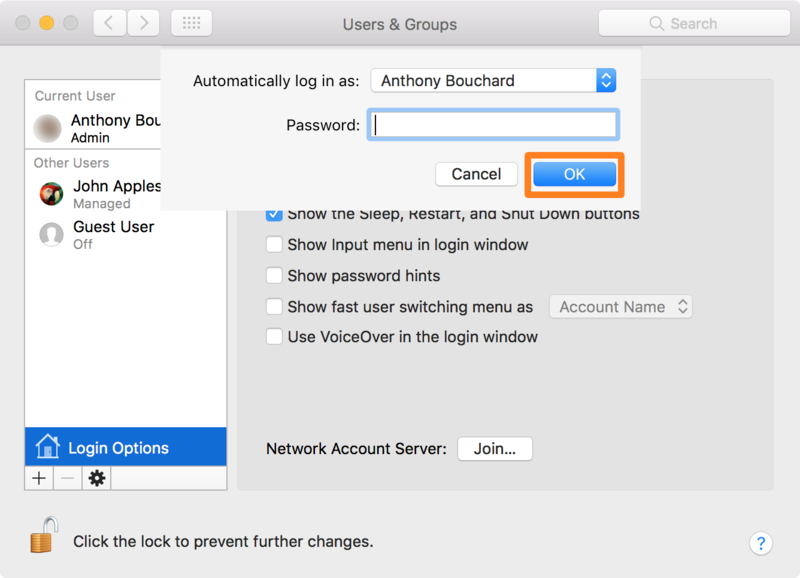 6) Click inside of the Automatic Login combo box and select the account you want your Mac to log in to automatically when it powers on. 7) If prompted to enter the password of the account your selected, enter it and click on the blue OK button. Now the preferences pane should show the name of the account you chose under the Automatic Login combo box. If it does, then you followed these steps correctly. If it still says “Off,” then you probably entered the password wrong. 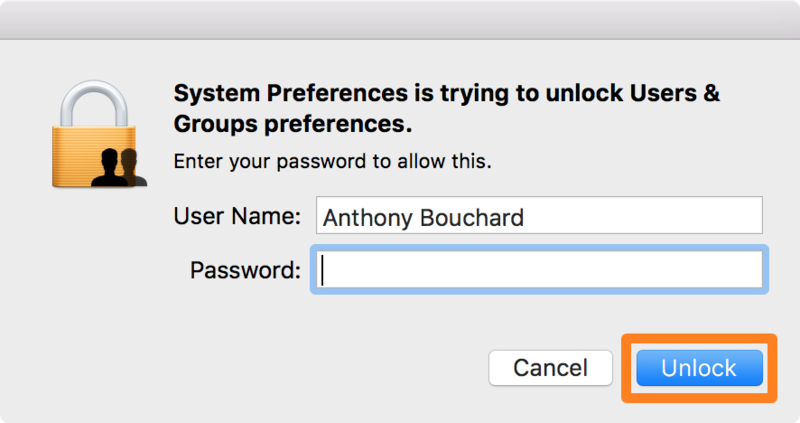 After you’ve set the account you want for Automatic Login, you should be able to test it out by restarting your Mac. At the time that it turns back on, it should log you into the selected account automatically without requiring you to enter any passwords. 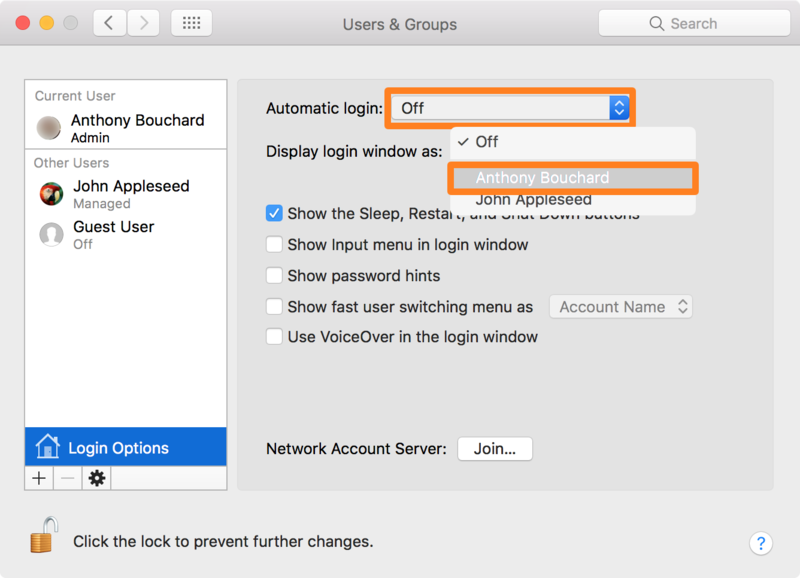 Although this feature lets the Mac log you in automatically when the computer is started, it will not log you in automatically again if you log out or switch users. If this happens, you will need to enter your password to re-enter your account. Nevertheless, if you simply reboot the computer, it will once again log you in automatically. 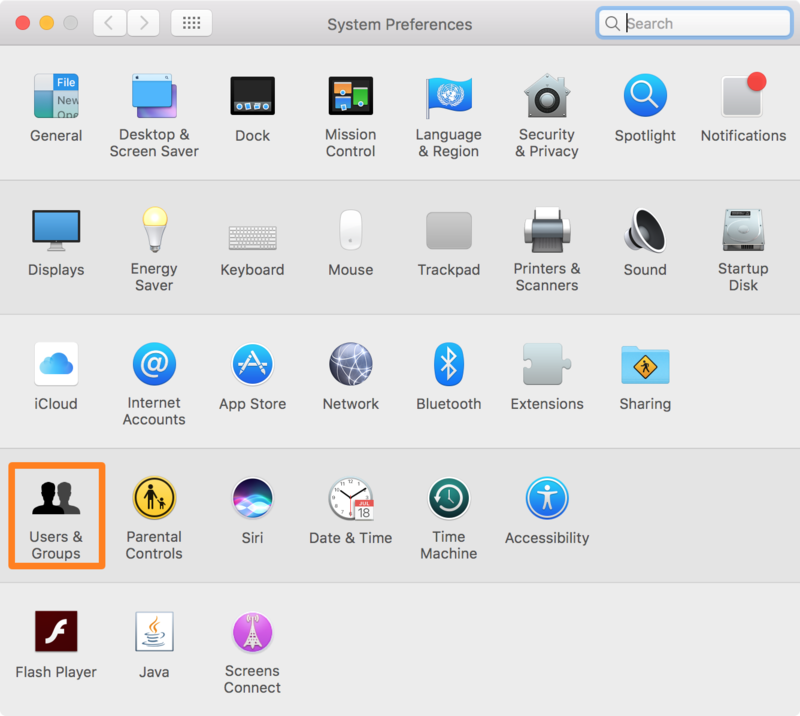 If you are having trouble setting up automatic login for a specific account on your Mac, it could be because FileVault is enabled on that account or because it has been configured for login with an iCloud account. If the problem has to do with FileVault, you will need to turn it off from  → System Preferences → Security & Privacy→ FileVault. If the account is configured so you need to log into it with iCloud, you can log in to that account and go to  → System Preferences → Users & Groups, choose the account you want to set a password for, and click Change Password before setting a manual login password. 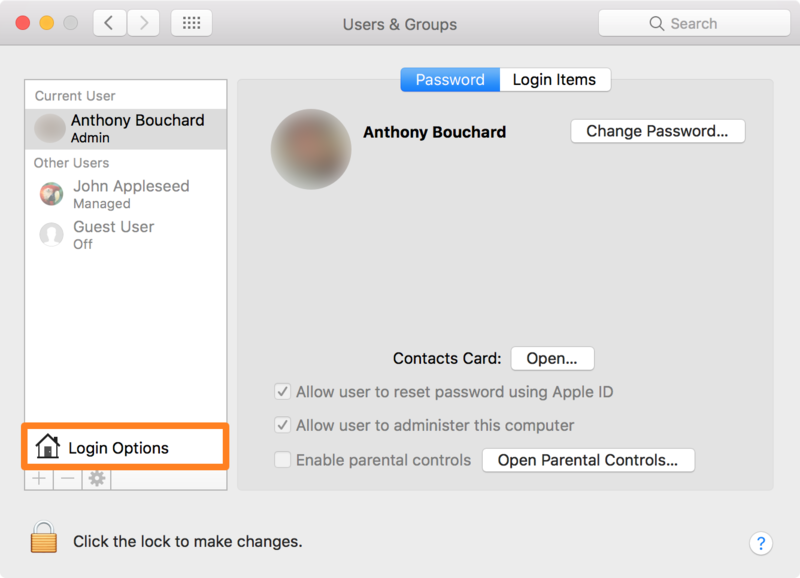 After you follow either of the two remedies above, you should be able to go through the steps mentioned in this article to set the Mac user account for automatic login. Will you be setting up any of your Macs for automatic login? Share why or why not in the comments below!